In past, the researchers have utilised humidity and temperature dependent electrical properties of a silk worm’s cocoon to generate electricity that can be used to operate low power electronic devices. 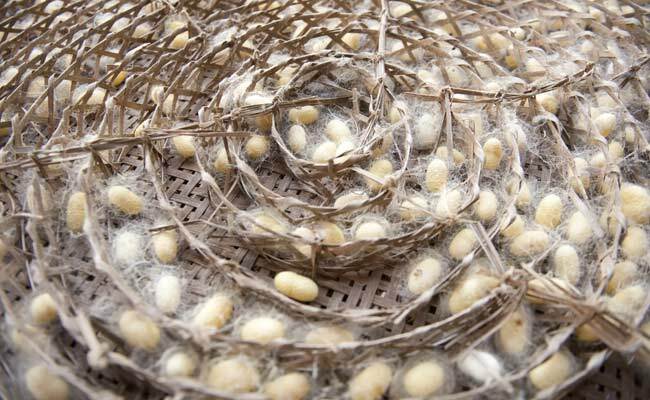 Silkworm cocoons are biological composite structures protecting the silkworms against environmental damage and physical attack by natural predators. 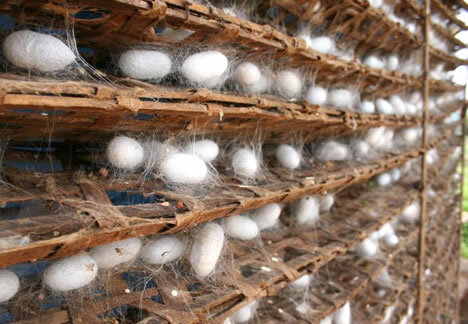 In particular, some outdoor reared silk cocoons exhibit outstanding mechanical properties that are relevant to the higher level protection required to enhance the survival chance of silkworms while supporting their metabolic activity. Now, Indian scientists have discovered a UV-sensitive substance on silk cocoon membranes which converts light into electricity, a finding they say has opened up possibility of designing a bio-solar battery for medicine and also has potential applications in development of third generation solar cells. "We have discovered a simple flavonoid molecule on the surface of the cocoon that acts as a UV absorber," Mainak Das, Associate Professor, Biological Sciences and Bioengineering, Indian Institute of Technology, Kanpur, told IANS. Flavonoids are found in most fruits and vegetables and the researchers demonstrated the role of the particular flavonoid (called quercetin) by connecting the cocoon (wild silkworm species of Antheraea mylitta, commonly called Tasar silk) with an electrode and shining light on it. "When you use regular light, there was a slight shift in current and voltage and when you shine UV light there is a many-fold increase in current and voltage," explained Das. Published on February 24 in Nature Scientific Reports, the findings has implications for development of third-generation dye-sensitive solar cells. The study is a continuation of an earlier work in which the team found that silk cocoon membrane has an inherent ability to sense the change in temperature and humidity of the surrounding environment and convert it into electricity. According to Alok Bajpai, a psychiatrist at IIT-Kanpur, and one of the authors of the study, by tapping into the properties of silk cocoon, a bio solar battery could be designed for therapy of anxiety, chronic headache etc. "Low cost silk mesh or silk cocoon based devices, if they retain the property of converting moisture, light and salt to electricity on surfaces like human skin, will create a revolutionary step in treatment of illnesses like chronic headache, generalized anxiety, erectile dysfunction and the like. "If silk-based mesh is able to utilize the moisture and salt from the human skin and convert it to a micro current it can serve as a personalized biofeedback mechanism and relaxation device and an alternative to transcranial direct current devices that are being tested to ameliorate depression and anxiety. These would be essentially low cost due to abundance of silk," Bajpai concluded, as reported by New Kerala.